Photos of wild birds found only in the Philippines, including some near-endemics. Habitat - Stays close to the ground in dense foliage in forest and edge above 800 m.
560 mm, f/5.6, ISO 1250, 1/320 sec, manual exposure in available light, hand held, major crop resized to 1500x1000. Habitat - Forest and forest edge in the lowlands. f/4, 1/250 sec, ISO 12800, manual exposure/flashlight, hand held, near full frame resized to 1500 x 1000. Shooting info - Bued River, Rosario, La Union, Philippines, February 6, 2015, 5D MIII + 400 5.6L, 400 mm, f/5.6, ISO 800, 1/2500 sec, hand held, major crop. Habitat - Uncommon in lowland forest to mossy forest up to 2500 m.
Habitat - Uncommon in lowland forest understory. Habitat - forest and second growth, below 1000 m.
Habitat - forest canopy, below 1500 m.
Habitat - Lowland forest to montane mossy forest. Habitat - Lower second growth and forest. Habitat - Uncommon, restricted to clear fresh water streams up to at least 1500 m.
Habitat - Uncommon in forest, edge and second growth up to 1350 m.
Habitat - Thickets, forest edge and forest below 2000 m.
Habitat - Uncommon in scrub, second growth and pine forest up to 2000 m.
800 mm, f/9, ISO 200, 1/15 sec, 475B/3421 support, fill-in spotlight, manual exposure. Habitat - Canopy of forest, edge and flowering trees. Habitat - Uncommon in all forest levels. Habitat - Open forest and edge. Habitat - Forest, scrub and gardens. Habitat - Cultivated areas, thickets, forest and edge below 2000 m.
Habitat - Dense forest, edge and scrub, in understory. Habitat - Canopy of forest and edge. Habitat - Forest, edge and clearings. 700 mm, f/7.1, ISO 400, 1/250 sec, manual exposure in available light, 475B/3421 support. Habitat - Uncommon in canopy of forest and edge. Shy. Habitat - Uncommon in forest patches up to 1500 m.
Habitat - Fairly common in lowland forest. Habitat - Forest, forest edge and clearings. Habitat - Forest and forest edge usually below 1200 m.
Habitat - Forest edge, advanced second growth and forest. Habitat - Uncommon in montane forest (clearings and edge) above 1000 m.
Habitat - Forest and edge up to 1500 m.
Habitat - Fairly noisy in canopy of forests and forest edge in the lowlands below 1000 m.
Habitat - Lowland early second growth and forest edge. Habitat - Rare and local in lowland and middle elevation forest and second growth. Habitat - All levels of montane forest, usually above 800 m.
Habitat - Fairly common in forest, edge and second growth up to 2000 m.
Habitat - Common in a wide range, from second growth to montane forest to 1600 m.
Habitat - Uncommon in forest from the lowlands to over 1900 m.
Habitat - Common from grasslands to forest up to 2000 m.
Habitat - Uncommon in all levels in montane forest above 800 m.
NOTE - possibly among first photos of this species taken in the wild; ID was revised from Pachycephala philippinensis after thorough analysis by bird experts. Habitat - Tangles and undergrowth in forest and edge. Habitat - Scrub, open dry forest and bamboo. Habitat - Near ground in lowland forest below 1000 m.
Habitat - Lowland forest understory, perches motionless in dark recesses. Habitat - Forest and forest edge. Habitat - Canopy of forest in the lowlands. Habitat - Lowland forest and second growth. Habitat - uncommon in forest and forest edge. Habitat - Freshwater marshes, shallow lakes and ricefields. Habitat - Second growth, scrub and gardens. Habitat - Forest and edge. Habitat - Common in forest, edge and scrub, below 1500 m.
Habitat - Uncommon in lowland forest and edge. Habitat - Lowland forest, edge and second growth. Habitat - Forest and forest patches. Habitat - Forest from lowlands to over 2000 m.
Habitat - Drier grasslands and scrub. Habitat - Uncommon in forest canopy below 1000 m.
Habitat - All forest types up to montane forest. Habitat - Uncommon, shy and hard to see, on or near the ground from low to high elevation forest. Habitat - Uncommon in second growth and forest. 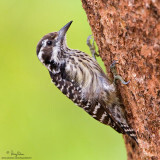 Habitat - Common from lowland to montane forest, the only true creeping Philippine bird. Habitat - Forest and second growth. Habitat - Common from lowland to montane mossy forest. Habitat - Common in noisy, active groups through dense foliage in forest up to 1500 m.
Habitat - Common in forest up to 2000 m.
Habitat - Common, in forest and forest edge, usually below 1000 m, singly or in pairs, or in groups especially at feeding trees. Very plump, short tail with very fast bullet-like flight. Habitat - Common in all forest levels. Habitat - Uncommon, poorly known, occurs in forest and forest edge often near water and in coconut plantations with patches of second growth. I used to live in Manila and the only birds I see are the common mayas which are quite plentiful. I use to feed them whenever we have leftover rice and I enjoy watching them eating and chirping the food away. Now we are residing in Los Banos and my love for birds have intensified. I love waking up to the calls of the birds with varying sounds. I saw several which are not familiar to me and in order to find out more about them I came across your work. Thanks to all bird lovers and to people like you who exerts extra effort to let people know and see the beauty of these precious little creatures. Great body of work sir. Ang Ganda talaga. The reason I am writing is I am searching for a name a bird that we have been seeing over at my cousins rest house on Lake Caliraya. It is a bright red and yellow bird that we have been seeing since the 70's. We have never found out what kind of bird it is. It flies very fast and as soon as we see it crossing over the lake it is gone. 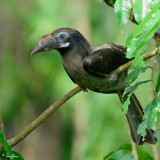 Another is a bird we used to see at our house in Los Baños in Mt. Makiling when I was young in the 70's. They were red/light maroon all over and very noisy birds maybe as big as a shoe. We used to know they were coming from their loud noise as they chased each other from tree to tree. They usually were in groups of maybe 10 plus and were very noisy and moved from tree to tree seemingly chasing each other. I haven't seen these birds anymore for almost 20 years now. I hope you can help me sir. Thank you very much and please keep up the good work! Very informative. Pictures are great! Students can use them as reference. Thanks a lot! Very beautiful pictures. You should put it in print. Do you have the local names for these birds? I like this site. Hope you'll show us more of the endangered birds of our county in the future. 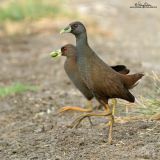 Your pictures must be known to the public, so people will be aware that we have this (beautiful birds) in our country. Thanks for showcasing this pics. MAGNIFICENT!!! I am a wildlife biologist (a Filipino too, a rare combination) in the U.S. and I came upon your collection. These are amazing images. Growing up looking at wildlife in the P.I. in the 70's, I knew that I had to study it and conserve it. Thank you for doing your part. Your pictures are really great. I t was truly an effort to capture them.I am glad that I had s chance to see them,even just in pictures. I always found it difficult to identity birds by mere sketches. Your sharp & clear pictures have made it easier for novices like me. Thank you very much for sharing them. I look forward to seeing more photos from you. They are inspiring! very beautiful pictures... i was looking for pix of endemic birds in mindoro island, and though i didn't find one, can't help to admire these beautiful philippine birds... keep up the good work! p.s. i hope next time, i will find the birds im looking for in your site... thanks! helo romy. we have both yellow-collared and blue-collared guaiberos here in our house. it is called "bukitok" in cebuano. it was given to us by our neighbor from zamboanga peninsula. he said there are so many of these birds in mt malindang mountain range. with your photos i've known what these birds are called. when i saw them for the first time i thought they were colasisi. i searched the net but i didnt found any reference about these birds until i saw your works. i already planned to set them free. how i wish there would be many more wildlife photographers in our country like you. i do believe wildlife photography helps conserve these birds. thank you and more power. One of the few galleries with such detailed documentation and rare avian. Kudos! I am amazed at these beautiful compilations of yours. Congratulations! It's just a pity that people tend to break the issue on environment and wildlife conservation and make a thin line difference for livelihood (hunting and live bird trapping). Maybe the government (paging the DENR) come up with clear-cut regulations on these. Appreciated your very tedious work in photodocumenting these birds. I'm blessed. Press on! More Power. sa kawalan natin nang halaga sa ating kalikasan...Salamat po.ganda talaga.. Thanks for dropping by, LolaMaria. Your cousins are very right - our birds are ever more threatened by unabated hunting/trapping and destruction of habitat. I've to go far and wide to get most of these captures. What a treasure throve of pictures you have in your galleries! I am amazed at the number and variety of birds represented here. The last time I was home 2 years ago, I noticed silence, which I traced to the scarcity of birds and their birdsong while we were in the provinces. My cousins told me most of the birds were hunted down, close to extinction. Is that false, then? Amazing photo collection, lots of great birds in there.. Excellent captures. At least philippinos have pictures before they will be gone. Hi Romy, some truly great photos here. You should produce a book. Magnificent birds and magnificent photos!!!! Bravo!! these picture are soo lovely hope you post more since i would want to see these in real life some day. fantastic photos!! definetly an inspiration to make a detour to philippines while i'm away next! are there any must stop at places to birdy? Romy, a book on Philippine Birds will be the icing of the cake!! Thank you for the photos... It helps a lot in our thesis... IDOL!!! heaven sent. Now i can at least have a guide in identifying some rare birds i might encounter, More Power!!! Outstanding gallery. Nice lens. You must spend a lot of time taking these pictures. They are amazing. Just like the Philippine birds, Romy Ocon is a national treasure. I never knew we had so many lovely endemic birds. Your lens made it possible for us city dwellers to see and appreciate the beauty of our avian resources found only in the deep recesses of our forests. thank you. Looking forward to a compilation of all your great photos (A GUIDEBOOK no Less!). Good luck! the tree where the white eared brown friutdove is called Alim (Melanolepis multiglandulosa)under family Euphorbiaceae. Identification of the tree where the white eared brown fruit dove is, Alim (Melanolepis multiglandulosa)under Family Euphorbiaceae. This is one hell of a page. please keep up the good work. Some of them are pretty easy to find (like the Balicassiao, Lowland White-Eye and White-Eared Brown-Dove). Others are more challenging. I've been birding since April 2004 only, so I haven't observed them in one full year cycle yet. 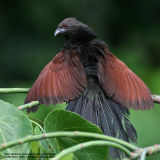 fabulous birds, cleanly presented, solid photos, nice work! Very scholarly. It's gratifying to see someone display not only their interest but also benefitting the environment.